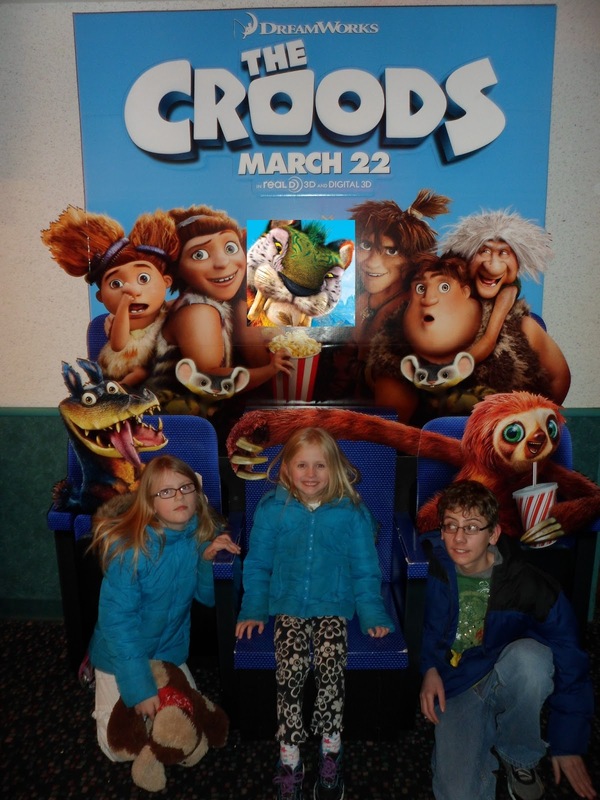 I took my 3 children to see The Croods in 3D. They range in age from 15-6 years old. 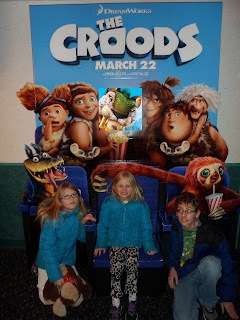 We all enjoyed seeing this movie. My youngest was still talking about it the next day. I would compare it to the movies Ice Age & Rio. So if you liked either of those movies, plan to see this one. 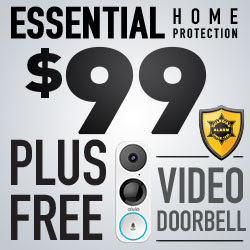 It has plenty of action, right from the beginning. The story kept you interested with laugh out loud humor & just enough romance & suspense. 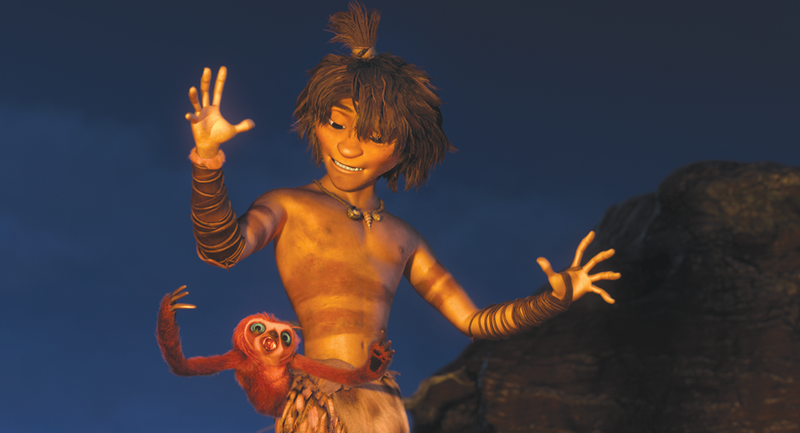 I enjoyed the colorful animation & scenery. My girls especially liked the rainbow colored tiger. It was definitely worth seeing in 3D. Many times I saw my kids reaching their hands out to try to catch the items coming off the screen. I remember in one scene there were dandelion fluffs floating all around. Afterward my kids discussed which character they were most like. And of course some of my favorite actors voiced the characters, including Nicolas Cage, Emma Stone, & Ryan Reynolds. 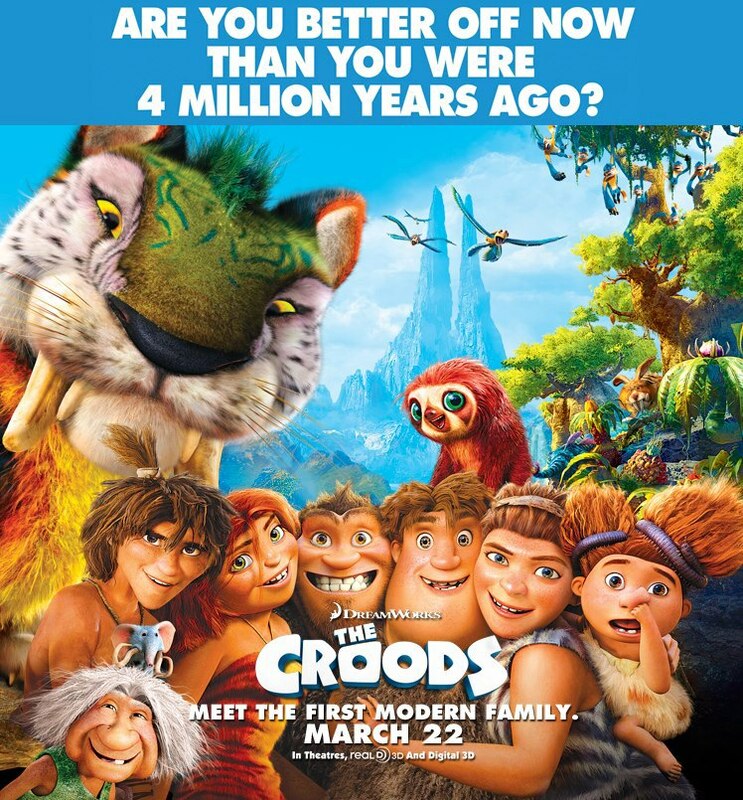 Go see THE CROODS, in theaters Friday March 22!